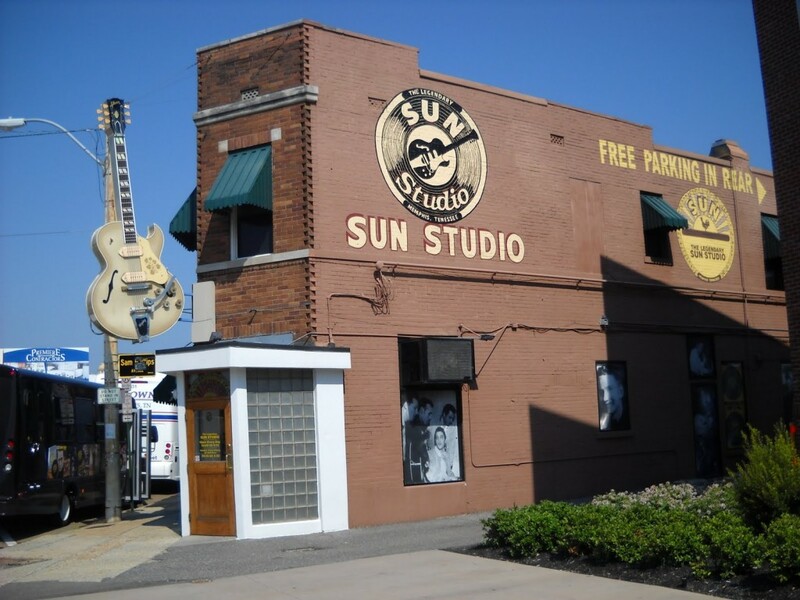 I’m visiting SUN Studio again i January, and will post a series of SUN/STAX/Memphis related articles the coming months. This is the first one. Johnny Cash was one of the most imposing and influential figures in post-World War II country music. With his deep, resonant baritone and spare percussive guitar, he had a basic, distinctive sound. 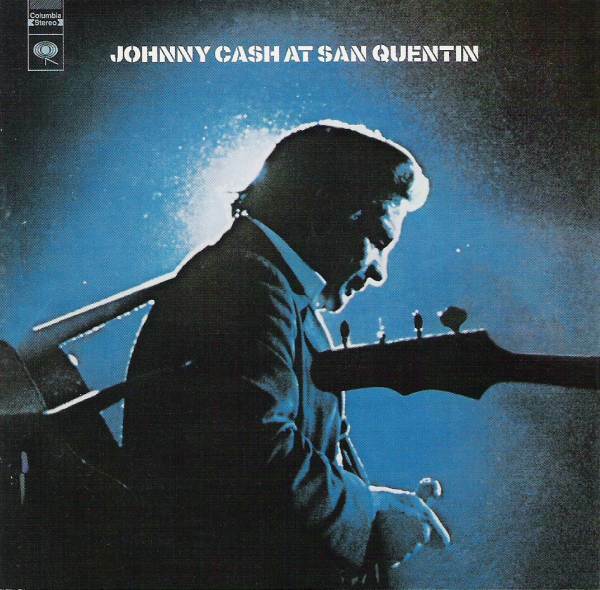 Cash didn’t sound like Nashville, nor did he sound like honky tonk or rock & roll. He created his own subgenre, falling halfway between the blunt emotional honesty of folk, the rebelliousness of rock & roll, and the world-weariness of country. 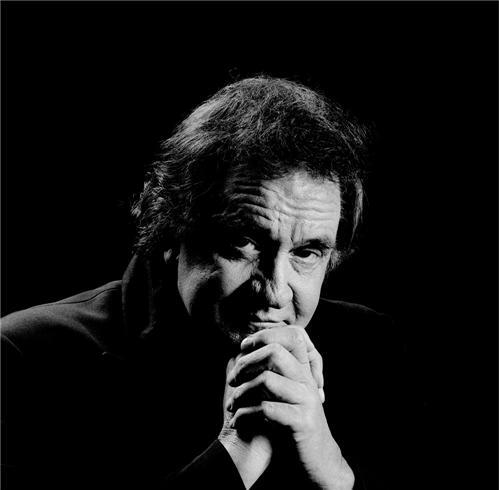 John R. “Johnny” Cash (February 26, 1932 – September 12, 2003) was an American singer-songwriter, actor, and author who was considered one of the most influential musicians of the 20th century. Although he is primarily remembered as a country music icon, his songs and sound spanned other genres including rockabilly and rock and roll—especially early in his career—and blues, folk, and gospel. 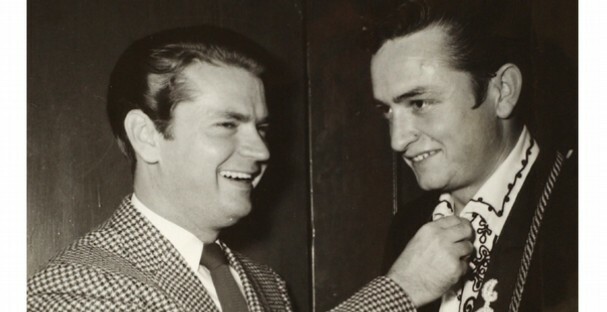 This crossover appeal won Cash the rare honor of induction in the Country Music Hall of Fame, the Rock and Roll Hall of Fame, and the Gospel Music Hall of Fame. 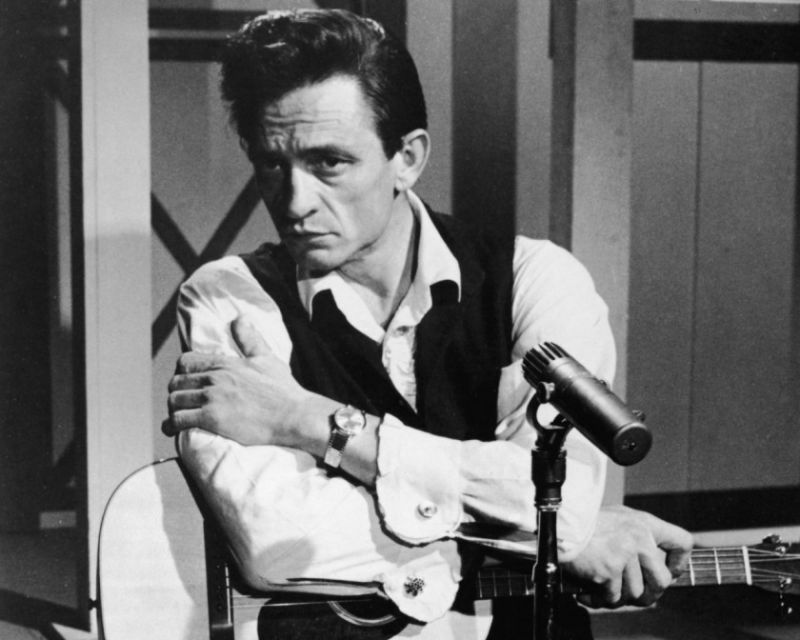 Cash was known for his deep, distinctive bass-baritone voice, for the “boom-chicka-boom” sound of his Tennessee Three backing band; for a rebelliousness, coupled with an increasingly somber and humble demeanor; for providing free concerts inside prison walls; and for his dark performance clothing, which earned him the nickname “The Man in Black”. He traditionally began his concerts with the phrase “Hello, I’m Johnny Cash.”, followed by his standard “Folsom Prison Blues”. 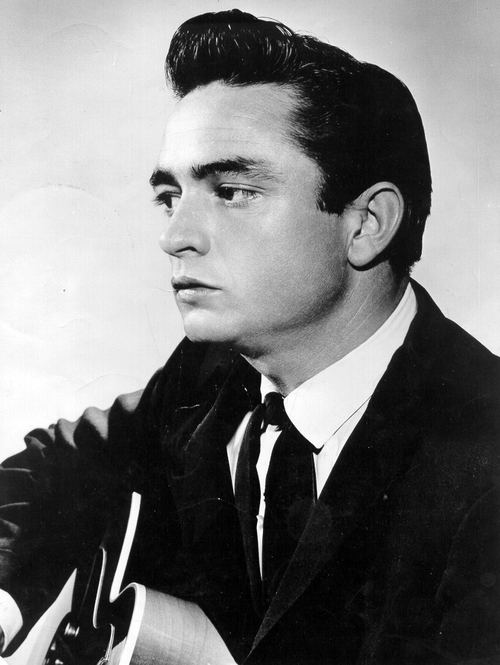 Much of Cash’s music echoed themes of sorrow, moral tribulation and redemption, especially in the later stages of his career. 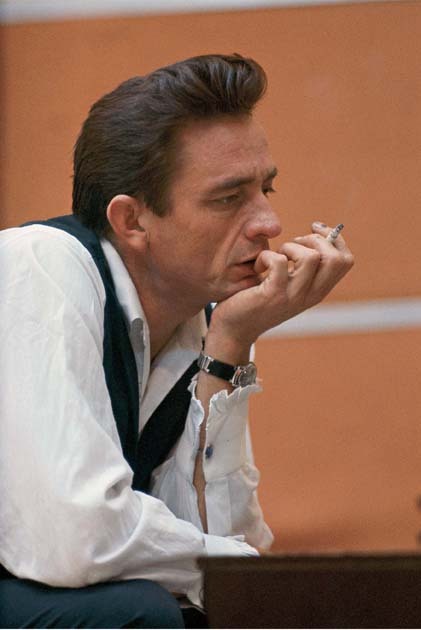 His best-known songs included “I Walk the Line”, “Folsom Prison Blues”, “Ring of Fire”, “Get Rhythm” and “Man in Black”. He also recorded humorous numbers like “One Piece at a Time” and “A Boy Named Sue”; a duet with his future wife, June Carter, called “Jackson”; and railroad songs including “Hey, Porter” and “Rock Island Line”. During the last stage of his career, Cash covered songs by several late 20th-century rock artists, most notably “Hurt” by Nine Inch Nails. His pioneering contribution to the genre has also been recognized by the Rockabilly Hall of Fame. He received the Kennedy Center Honors in 1996. 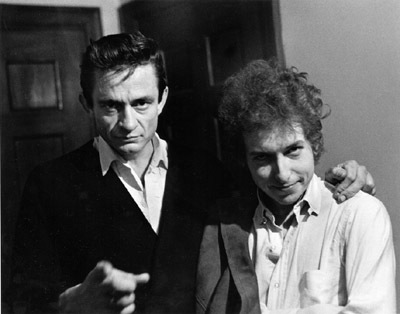 Cash stated that his induction into the Country Music Hall of Fame, in 1980, was his greatest professional achievement. In 2001, he was awarded the National Medal of Arts. He was nominated for an MTV Video Music Award for best cinematography for “Hurt” and was supposed to appear, but died during the night.